In theory, the rise of the internet has made finding your next car or truck far, far easier than ever; in practice, however, many folks will tell you it’s made it a bigger pain in the backside than ever. Dozens upon dozens upon scores of sites serve up listings of vehicles for sale or lease, so there’s a very good chance you’ll find at least one example of the ride you desire…provided you’re willing to visit site after site, re-enter your search criteria on each new site, comb through the results, rinse, and repeat. Who has time for that malarkey? And for people that do have time for it, how many of them actually look forward to it? 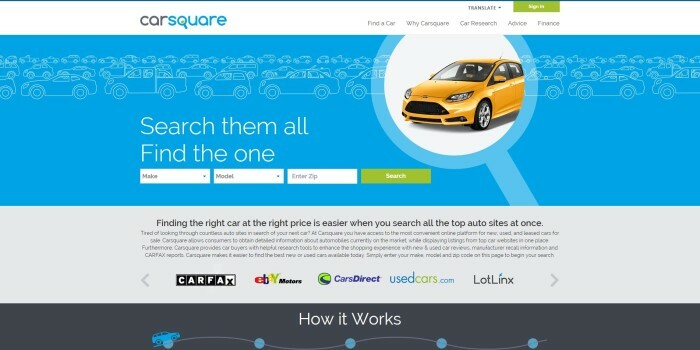 Mercifully, there is a better way, and that way is Carsquare.com. Much like what Kayak and Indeed have done for travel and employment, respectively, Carsquare has turned trawling the World Wide Web for automobiles into a one-stop shopping experience. 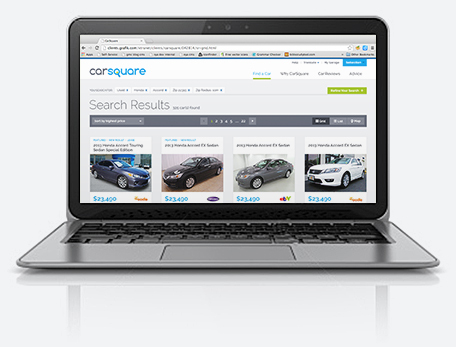 Simply select the make and model of vehicle you want, and your ZIP Code, and Carsquare scours all of the big name car sale sites (CarsDirect, eBay Motors, CarMax, etc.) and a bunch of smaller, less-well-known ones for listings matching your criteria. 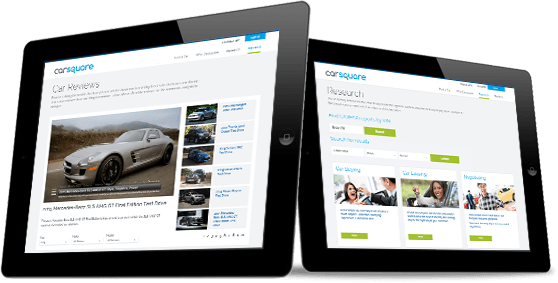 And on the off chance Carsquare comes up empty-handed the first time around, subscribers (of which it’s free and easy to become one) can save their search info for next time and even receive an email when a relevant listing does pop up. But what if you’re not sure what vehicle you want? 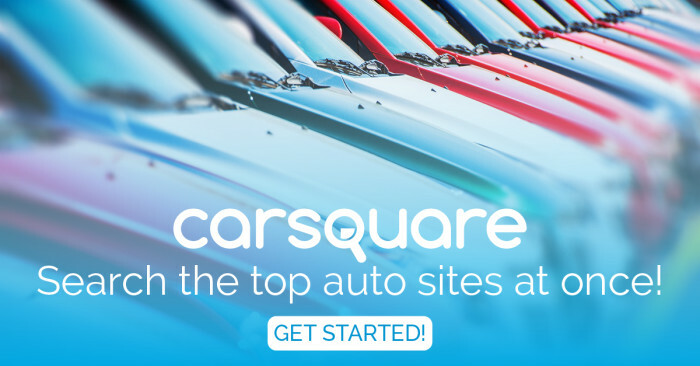 Carsquare has got your back, Jack: They’ve got a great big heap of vehicle reviews and insights from experts and owners, plus comparison tools and articles and videos on important topics like negotiating, financing and warranties. You can even get free CARFAX reports on vehicles you’re considering, and let your friends and family weigh in by sharing the potential picks in your saved “garage” via social media. And in case all of that wasn’t enough, Carsquare is also there and ready to help long after you’ve signed on the dotted line. How, you ask? By notifying you if any of your cars (even ones you didn’t find via Carsquare) have active recall notices, as well as their current values and a whole lot more. In short, Carsquare delivers on the oft cited (but not always fulfilled) promise that technology would make a task less complicated. And now more than ever, less complication sounds mighty appealing.